The best lawn mowers are commercial lawn mowers. While they are more expensive, they will last much longer than cheaper lawn mowers and will make the lawn look much better. Homeowners have the choice between riding lawn mowers, walk behind lawn mowers, stand-on surfer mowers and small push mowers. Zero turn radius lawn mowers are popular among professional landscapers because they are easy to maneuver around objects such as rocks and trees. The John Deere EZtrak Z225 is considered the best, according to Galt Tech. Another good zero-turn lawn mower is the Toro Timecutter. This lawn mower is considered by Galt Tech to be almost as good as the John Deere EZtrak. The good thing about it is that it’s cheaper than the John Deere lawn mower. Those who have very large lawns often get lawnmowers that are attachments to tractors. This can reduce the costs of owning a lawn mower if the homeowner also has other tasks that must be performed with the tractor, according to Galt Tech. Honda mowers are considered one of the best self-propelled gas mowers, with the Honda HRX217K2HMA being the best. Part of what makes the Honda mowers the best is the flexibility that landscapers have with how they handle the grass clippings, with operators often given the option of tossing some grass clippings to the side and bagging other grass clippings. The Honda HRX217K2VKA is less expensive than the previously mentioned brand, but does not have cruise control and does not go as fast. Gas powered mowers are the dominant mowers usually used by commercial landscapers. However, some commercial landscapers might choose to use electric lawn mowers because these lawn mowers produce less noise. The Toro e-Cycler is excellent because it consistently cuts grass evenly. Those who want evenly cut grass but do not want to pay as much for the lawn mower can get the Honda HRR216K5VXA. This lawn mower has better height adjustment and can be stored more easily. The Toro Recycler is one of the best bangs for your buck among the self-propelled lawn mowers. This mower has a blade override system so that the mower can be stopped so that objects can be moved before resuming mowing. The Great Dane lawn mower is a commercial surfer mower. Surfer mowers are easier to get on than riding lawn mowers, according to Consumer Search. 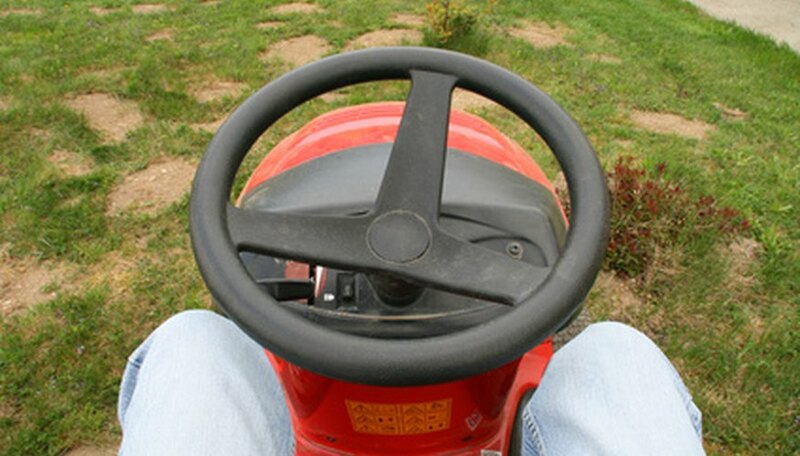 However, those who use the surfing mower can get tired legs after awhile since they are standing still on the mower for a long period of time. Manual reel mowers are worth mentioning for those who are concerned about the environment. These mowers are difficult to use for those who have very large yards, but can be useful for smaller yards. These mowers also don’t produce any noise, according to Consumer Search. Commercial lawn mowers might choose to use this mower to cut grass around small areas. The top reel mower is Fiskar’s Momentum.